According to Polycom’s The Changing World of Work research, more than half (51%) of Indian respondents said that they use video multiple times a day to collaborate with others for work purposes. 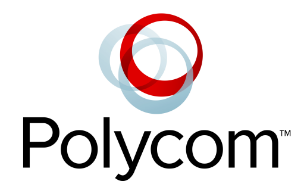 Video collaboration is the way forward in India and its adoption is only expected to increase exponentially in the next 12-18 months, forecasts Polycom with the release of their top five drivers that are set to impact business collaboration in 2018. 1. Cloud brings need for interoperability - The cloud space has transformed, not just our office and workspaces but the way we work. If we look at the next generation of technology – it’s modular, it’s adaptive, it’s solutions based and it’s cloud based. As cloud continues to move into the mainstream, the conversation is no longer about that sub 50 office space, the one-to-three user space is back on the table; and how you bring them into the network with mobile devices, with USB devices, and more will be a priority for businesses of all sizes in 2018. 2. User experience and ease of adoption reigns supreme -Where we work and collaborate is no longer confined to a traditional four-walled office environment. Today, people want to connect and collaborate with ‘the office’, regardless of their location or device. This growth in anywhere working and geographically distributed workforces mean that businesses will need to find new ways to empower employees with vastly different experiences and relationships with technology, ensuring they can collaborate effectively to drive the productivity. Users want simple click and join. They don’t want to go looking for a meeting room ID, or a truncated number, or the smart board switch to upload documents for team discussion. We will expect to see end users continuing to demand more intelligent, conferencing solutions that can ‘do it all’ – whether connecting from a meeting room, personal device or third-party platform. 3. Meetings are getting smarter and more mobile - Technology, like the latest intelligent face-detection and voice triangulation cameras, wireless content-sharing, a simple ‘click to join’ meeting interface, AI and advanced analytics are helping meetings get smarter and more productive. In basic terms, it is the convergence of people plus, not versus, technology that are now working together. What’s more, as organisations move to Skype for Business, Office 365 and Microsoft Teams, we expect them to look at removing extraneous meeting technologies and integrate collaboration via these platforms as a means to reduce costs and ensure a consistent user experience. 4. The hyper-collaborative organisation - Imagine that the next step for individuals, teams and organisations would be to go from being “collaborative” amongst themselves to “hyper-collaborative” – bringing together knowledge, capabilities and ideas from a number of ecosystems, geographies and industries. We anticipate that for 2018 and beyond, more workplaces will be open to embracing ‘anywhere working’, that enables this evolution in partnerships and teamwork. Enabling people to work, the way they want, where they want and in a hyper-collaborative manner that will become business-normal. 5. Bridging the urban-rural divide - With the improvement of our broadband infrastructure, India becomes more digitally inclusive and we can expect to see a jump in demand for collaboration solutions like high definition video and digital content sharing that were previously unavailable. Speaking on the collaboration trends, Arjun Vishwanathan, Associate Director, Emerging Technologies, IDC India said, “Employees are the greatest asset for any organisation. The way they collaborate and engage with each other to ideate, solve problems, share knowledge, and make decisions, is key to success. Indian workplaces must prepare for the future by adopting the right collaboration tools and deliver on these expectations to remain competitive and forward-thinking in the next few years”.